At Boom Box Post, we enjoy creating a fun and educational internship program to gain experience in the industry. 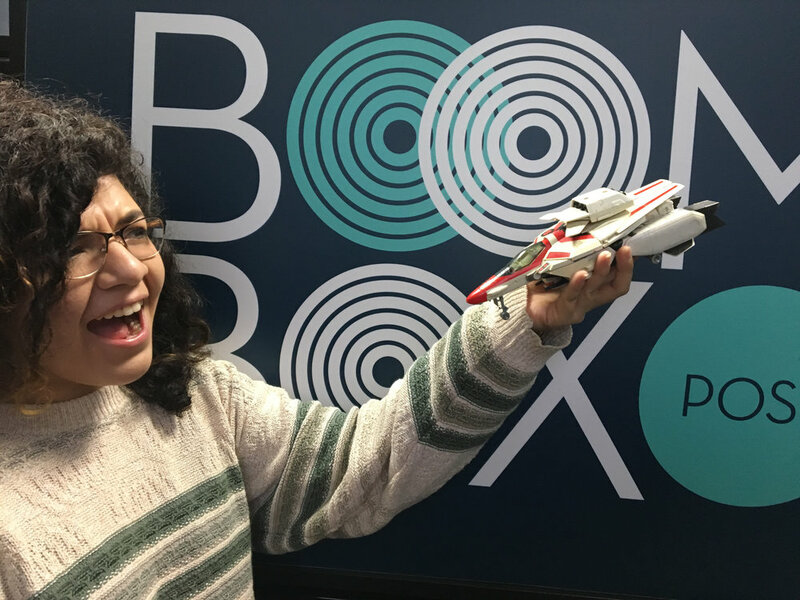 Through the weeks, Interns will learn from audio editors and mixers, record fun sound effects, and work on projects to showcase their amazing talents.This week, Colin Grant & Dilery Corona have begun their journey here at Boom Box Post so I sat down with Dilery to learn more about her background and what she hopes to learn from the internship. WHAT IS YOUR BACKGROUND IN SOUND before JOINING BBP AS AN INTERN? I studied audio in school where I did recording for both live and studio productions. From that, I knew I wanted to do something in a studio, whether it was in music or film. I began taking out audio from videos I found online and created my own new and unique sounds. That is when I picked up more of an interest in audio for film. WHAT are you excited to learn about at Boom Box Post? I'm excited to learn more and get hands on experience in the process of audio for animation because its not something that you can easily look up. WHAT is the most exciting sound you have ever heard in real life or on tv? I was making jello in a glass bowl with a steel spoon and it made a crazy alien like sound. I had to stop and record it! WHAT is your go to karaoke song to sing? Mushrooms. I like to keep it simple. IF YOU WOULD LIKE TO APPLY TO BE A BOOM BOX POST INTERN, PLEASE VISIT OUR INTERN INFORMATION ONLINE APPLICATION PAGE HERE!